Iddu is a word Sicilians use to describe the Aeolian volcano of Stromboli. As you can see from the photo below, it was an absolutely stunning, sunny day in London. The tables outside were being utilised, so I headed inside. 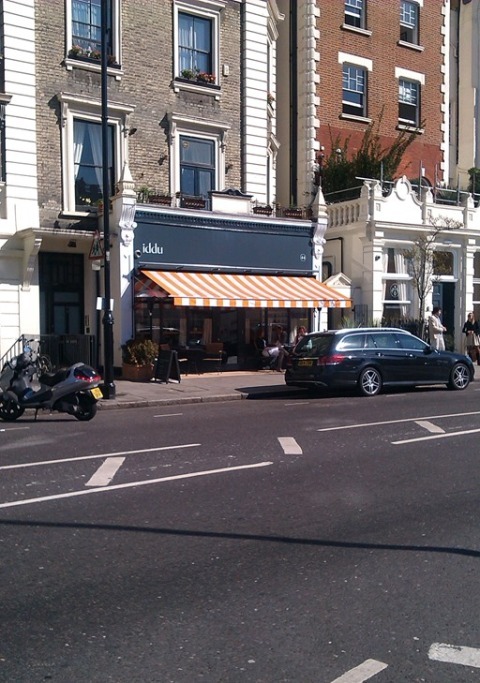 Located next to the South Kensington Club, it is open all day and has a Sicilian slant to some of the offerings. I went there to try out the coffee, which is what the waitress offered me first of all. I declined though, as I needed something to eat. The breakfast menu was what was given to me. 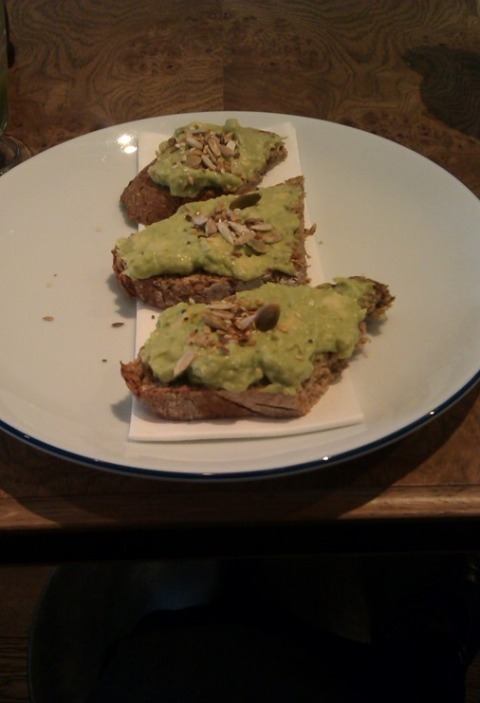 Although not particularly Italian in nature the crushed avocado bruschetta, rye bread with seeds appealed. 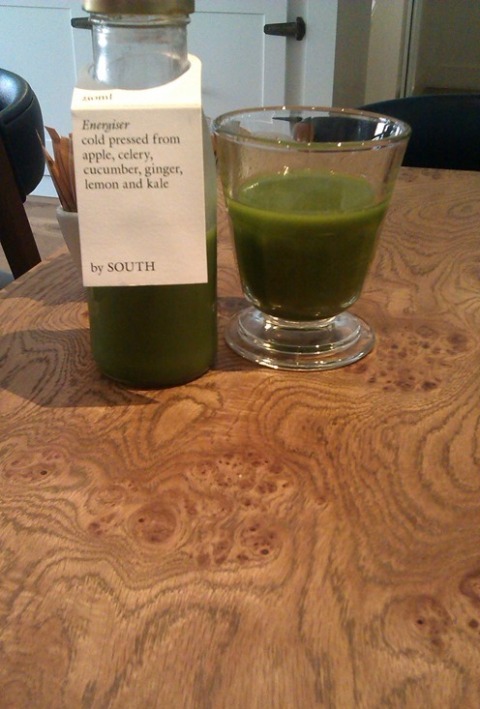 which I accompanied with a green juice – this was one of four cold pressed juices that you could pick from. There were also hand pressed juices on the menu – that all have Italian names – like arancia rossa – Sicilian red orange juice. I bet that would have been a good choice. I was being rather virtuous with my food choices this morning. Finally coffee – good Sicilian coffee – it was worth the journey. Caffè macchiato – a favourite of mine. There are certainly many things that appeal on the menu for all times of day, breakfast, lunch and dinner. Plus there is also a cocktail menu and the wine list features Sicilian wines. 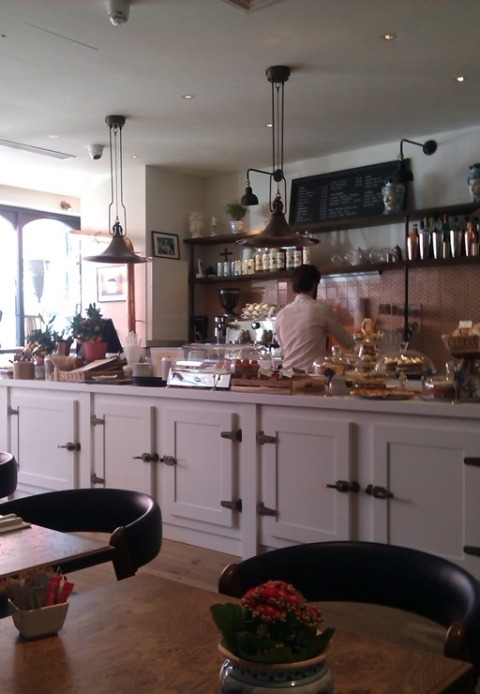 It is located within easy walking distance of South Kensington tube station and well worth dropping into. 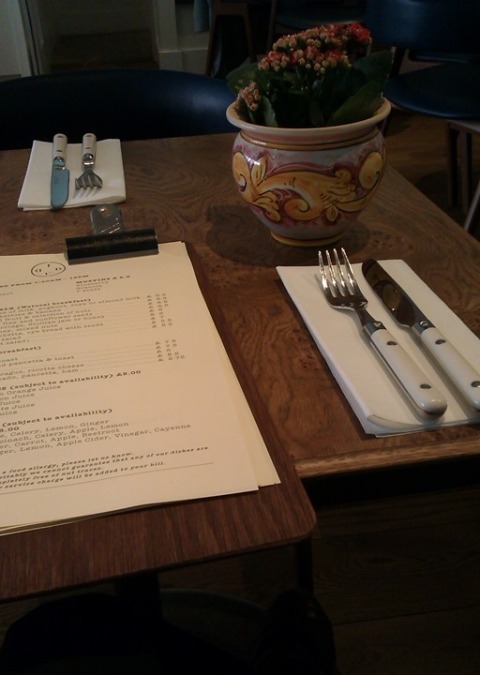 This entry was posted in England, Food and tagged Italian food, London by Cathy Powell. Bookmark the permalink.